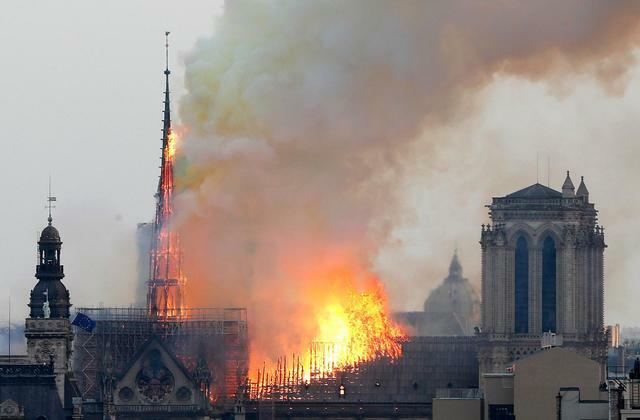 The Cathedral of Notre Dame in Paris has been “accidentally” burned down after enduring 900 years of war and bombings in the center of Paris, France. People were shocked that such a monument to Western civilization that withstood the French Revolution, the Reign of Terror, WWI, and WWII, just went down like a house of cards in a fluke accident. Dozens of Parisians were seen crying in the street at the horrifying sight. Some new citizens were seen bringing canisters of gasoline to help ‘put out the flames’. Somehow, their efforts did not help stop further damage. Plans were unveiled in the early evening to put a multicultural monument in the place of the cathedral after it’s completely burnt down.